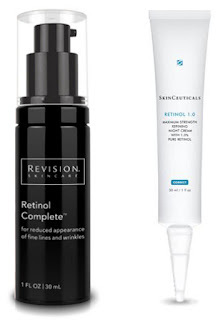 "Retinol is the master of surface renewal, " says dermatologist Dennis Gross, MD. "And if skin is soft and smooth and has no imperfections, it will reflect light better and look more radiant." A derivative of Vitamin A, studies show retinol helps minimize lines, wrinkles and age spots from both environmental and congenital aging. And it helps minimize pore size and blemishes, which are often unfortunate companions of problematic skin. It's like the duct tape of skin care. Since retinol works through receptors on the cell surface that speed up the cellular renewal cycle it can be irritating. New oil based formulations buffer the retinol with botanicals and moisturizing lipids.